Reminder: In case you've missed the last few days we're giving away one copy each of Diablo III for Xbox 360 and PlayStation 3! Don't forget to also check out our latest datamining post which features a lot of awesome stuff like massive class changes, a world map and much more! Not able to grab a Blizzcon ticket before they all sold out? Fear not we have the perfect solution here for you today, "Blizzcon in a Box"! Blizzard has stuffed these boxes with everything any group of friends would need to host their own Blizzcon viewing party while watching Blizzcon using the Virtual Ticket. We have multiple ways for you to enter - so keep reading for rules, as well as what the box holds! Check out our entire announcement here. 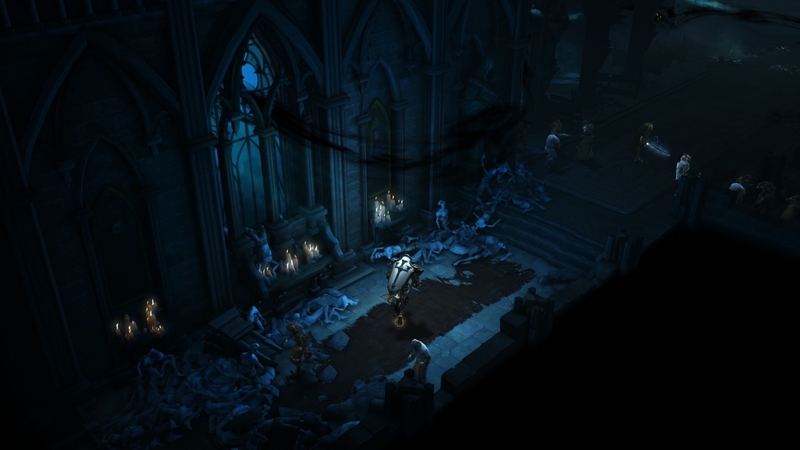 The Gothic feeling seems to be back in Reaper of Souls according from the art, screenshots and videos we've seen. Lylirra talks about bringing it into the game. I wouldn't say our approach has really changed fundamentally with Reaper of Souls, but it’s certainly been adapted. 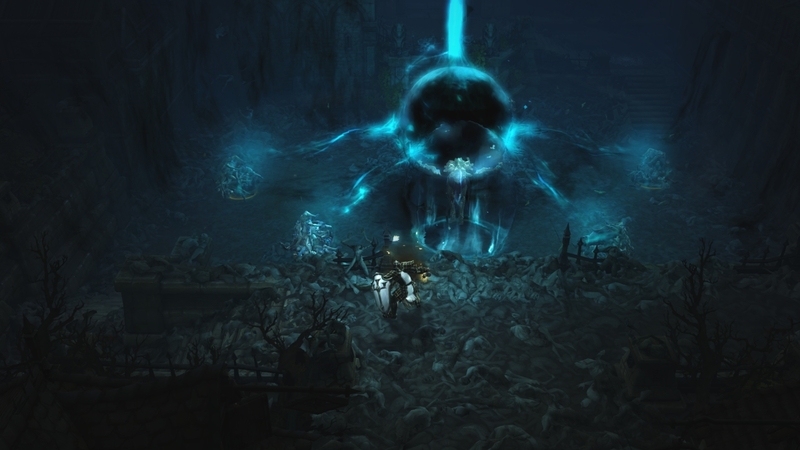 We're still very proud of the environments and level design of Diablo III and feel that the overall look and feel of the original game was very appropriate for that particular narrative. In Reaper of Souls, though, the narrative has changed—it's darker, more moody, and deals with the concept of death very directly—so the environments and storyline have also evolved to reflect that new direction. Philosophically speaking (both in terms of Diablo III and our art style as a whole), we always want to try to provide players with a variety of settings whenever possible, so that you aren't constantly having to play through the same landscapes (or type of landscapes) over and over. We also love that Diablo III—and even each Act within the game—has a very clear, very distinct visual identity. While this means that some areas may be more colorful or vibrant than in the past, it was something new (a nice contrast) and made sense within the context of the story. The same applies for our direction with Reaper of Souls. Even so, we've definitely paid attention to the feedback shared by the community since launch and have made some decisions in terms of the visual design for the expansion which we hope everyone will enjoy. Hey Lylirra, I wonder if adding an enemy affix that does "Horror" would make the game feel a bit more "Gothic". In short, it drastically reduces your vision (much like Light Radius in Diablo 2 when you were in a dark cave). You wouldn't know what's coming at you. It would be a nice touch. Interesting thought! Happy to pass it on. Nothing revolutionary. It's Tristram Cathedral with shades of Blue, Gray, Black. With more ghostly aspects and skeletons. It's still the world of Sanctuary (and the same game engine, too), which means things aren't going to change dramatically. We may not be able to achieve "revolutionary" given those contextual and technical limitations, but one of the goals of Reaper of Souls is definitely to harken back to Diablo's darker, more gothic roots. Not copy it exactly, mind you, since this is a different game with its own identity, but we've certainly made an effort to draw upon notable themes from those earlier chapters. So have you guys made some changes in the previous acts art style/story tellin wise? Hm. We've completely integrated the Crusader's storyline into Acts I-IV, but no other significant changes have been made to those zones as of current design (at least in terms of lore or visual design). What if a Paladin and a Crusader run into each other? Apparently not much will happen. So what if a Paladin and Crusader runs into each other? Hm, a curious question. I think it would be a rather one-sided encounter in terms of interest. The Crusaders are a relatively secret sect, and not much is known about them. I think a Paladin would show less interest in a Crusader, viewing him only as a fellow devout worshiper of the Zakarum. The Crusader might have a more distrustful perspective, viewing any Paladin as "tainted" given that their quest is to purge all darkness from the Zakarum. They've also been fairly disassociated from current events in the church since the era of Rakkis over two hundred years ago, when they were formed. We'll see how they will interact but it can be assumed that probably the leader of Paladins is the boss of Crusaders aswell. Remember that Crusaders are loosely organized, and they follow a calling rather than a commander. Crusaders were quite deliberately formed as a separate entity from Paladins, for fear of carrying over corruption into their new sacred duty, so what they share does not stretch much further than their faith. Here's a post where I speak of the various incarnations and existing factions of holy warriors (note, the monks aren't included for the moment). This is a very insightful thread! You hit on a few key points I think are being overlooked. I definitely recommend this to anyone who may be confused on the historical order of these events. Now they're trying to suggest that all paladins are corrupt and that crusaders would have little to nothing to do with them. I can see where you may have interpreted this from my statement, but I did not mean all paladins being corrupt as a fact. Rather, I meant that it may be what a Crusader erroneously believes when encountering a Paladin. Just as little is known about the Crusaders, their focus on their task at hand hasn't lent itself well to keeping up on current events in the rest of the world, and they may be unaware of the splintering of the church that's occurred since they originally set out. Many Paladins were corrupted (The Hand of Zakarum). Shortly after the Zakarum Inquistion, a small group broke off and traveled to Westmarch (The Order of Paladins). They were later absorbed into the Knights of Westmarch (which is where the D2 Paladin was from). This all happened separately from the Crusaders traveling East, which happened much earlier, when Rakkis first set out to conquer the West. As always, we're staunchly against the use of botting programs, and we regularly issue account bans to those players found to be using bots while playing Diablo III. These account bans are issued on a weekly and sometimes daily basis, and it's important to keep in mind that while we don't make announcements every time we action players for cheating, our teams are always hard at work to ensure that your online experience is as free of cheats, hacks, bots, and other exploitative activities as possible.